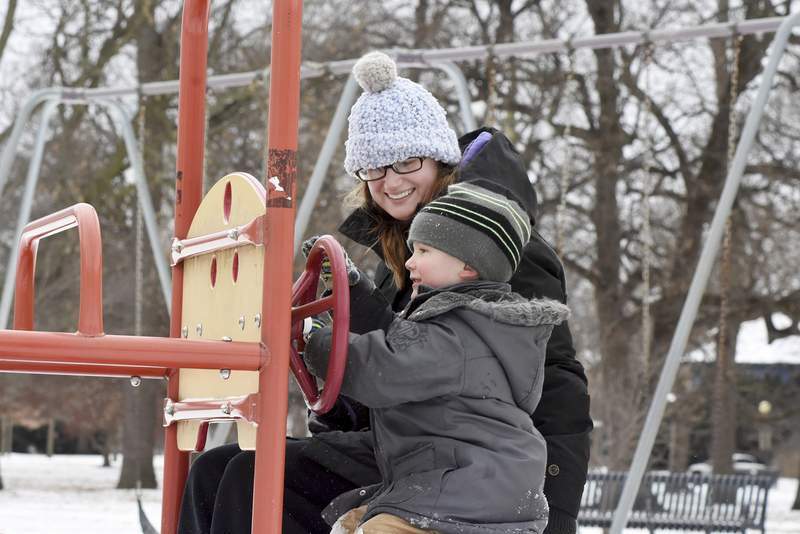 Rachel Von | The Journal Gazette Elizabeth Lothamer and her son, Avery, 4, brave Thursday's cold weather to play on the firetruck in the Lakeside Park playground surrounded by snow on Thursday morning. More snow is on the way Saturday. Thursday's high was 29 degrees. Fire training in the snow?